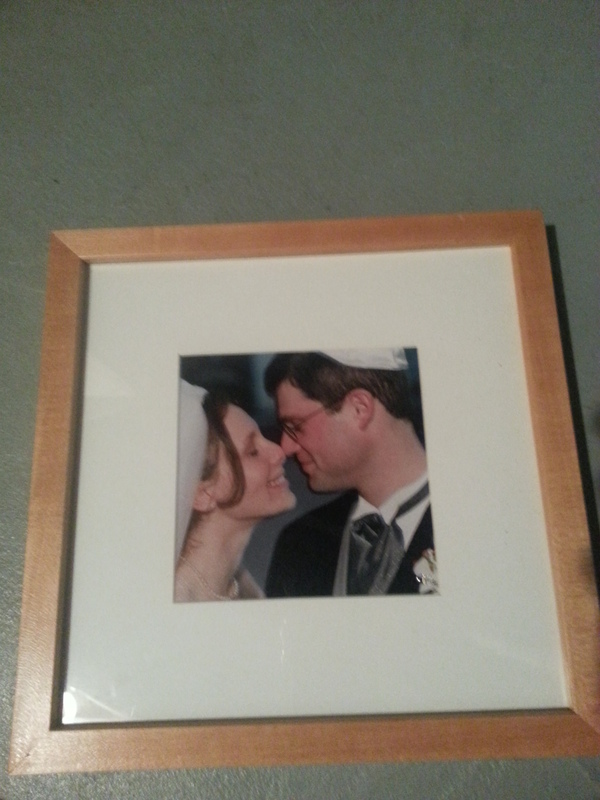 We just celebrated our 12th wedding anniversary. 12 years!! That’s quite an accomplishment, especially when you consider the average marriage in this country lasts only 8. So how did we celebrate? Roses strewn on the bed? A super-fancy dinner? A glammed-up night out on the town? Nope. B picked up flowers for me at the grocery store on her way home from the gym at 7am. I gave her a card when she got home from work that night. We did have a babysitter, but our big night out consisted of a walk to a neighborhood restaurant, a place we go often enough that they know us and asked where the kids were. 90 minutes after we walked out our front door, we were back home, glued to our separate iPads. Ah, romance! It got me thinking about love. I remember when we were first married. Simply seeing B across the room was enough to make my heart skip a beat. The mere thought of anything horrible happening to her caused my heart to pound. Twelve years later, that gut-wrenching passion has faded to memory. I no longer regularly work myself into a panic fretting about some imaginary horrible fate befalling her – that’s now reserved for the kids. The funny thing is, even though that intense passion for her no longer consumes my waking moments, I could no more live without B today than 12 years ago. She’s such a constant in my life, such an important and central part of me, that it would be as absurd to consider life without her as without a vital organ. Possible to survive, yes. But would I ever choose it? Hell, no. My struggle with marriage these days is not calming irrational fears of tragic fates, but remembering not to take her for granted. I know I don’t tell B often enough how important she is to me. Every once in a while, though, something does jolt me out of my calm complacency – usually some tragic news story – and my heart once again leaps into my throat in fear. It’s in those moments of panic – so reminiscent of our newlywed days– that I notice just how much a part of me she’s become. She really is the center of my universe. Walking home on our anniversary, I realized that that is the beauty of love 12 years in (14 if you count the years we dated and were engaged). Yes, the flowers and champagne and intense passions of new love are really exciting. But we’ve been there, done that. Love now is the calm feeling of being anchored, the comfort of knowing she’s in the room even if I don’t notice her, the contentment of having her as my home base. I wouldn’t want it any other way. What does love mean to you? Has it changed over the years you’ve been with your partner?